What large SUV gives you three-rows of seating, a muscle-car feel, and powerful engine options? The answer is simple. The 2018 Dodge Durango is a beast of an SUV, giving you a powerful standard V6 powertrain, and not just one, but three V8 powertrain options! If that isn't enough to get you excited, then the technology inside should really get you smiling, and the brand new Durango SRT should have you jumping up and down. This new powerful model features a V8 engine that clocks in at 475 horsepower. Besides the SRT, the Durango is making Apple CarPlay and Android Auto standard features, along with a rearview camera and a 7-inch touchscreen interface. Don't walk to the 2018 Durango, run to it! What are the powertrain options for the Durango? You will find rear-wheel drive with all of your Durango model options, with the exception of the SRT. 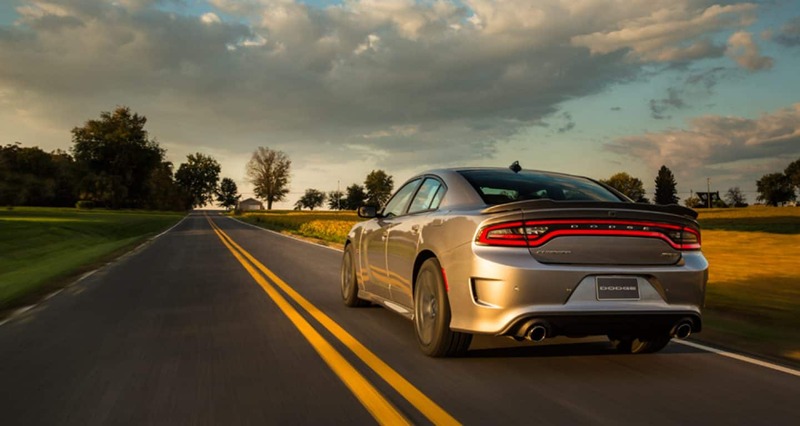 The SRT comes standard with all-wheel drive, which is optional on all other models. The Durango SXT comes standard with the powerful 3.6-liter V6 engine that can create 193 horsepower and 260 lb-ft of torque! An eight-speed automatic transmission pairs itself with this V6 engine. 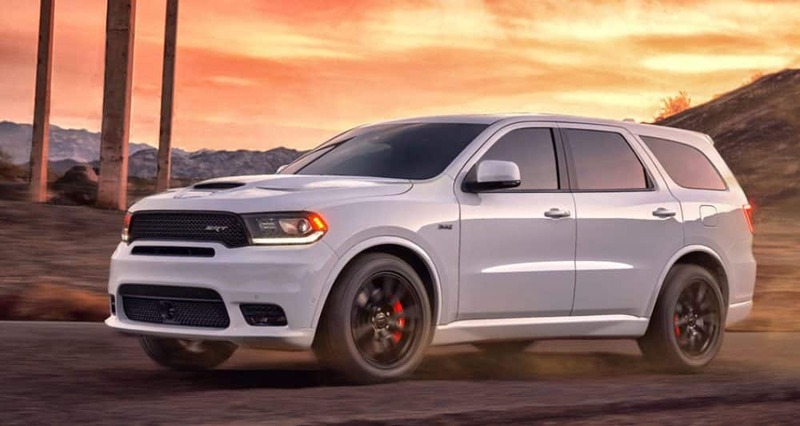 For even more performance you might consider the Durango R/T which comes with a 5.7-liter V8 engine that can make 390 pound-feet of torque and 360 horsepower. This engine also comes with an eight-speed automatic transmission. 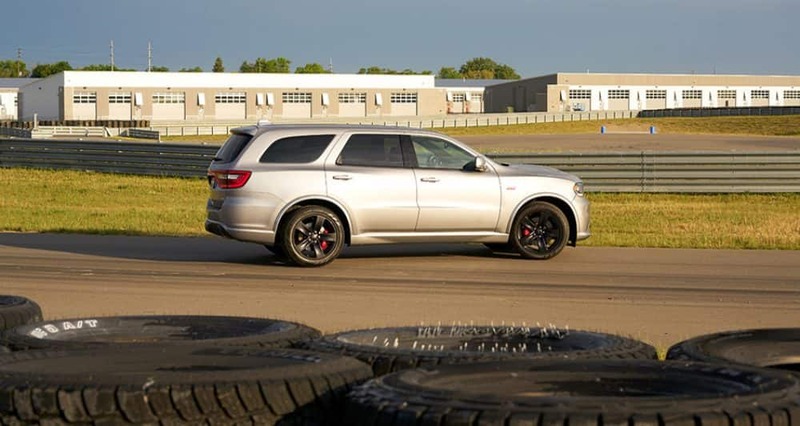 The new Durango SRT comes with a 6.4-liter V8 engine that can get up to 470 pound-feet of torque and 475 horsepower, and comes with the same eight-speed automatic transmission as the other engine types. What safety features are included in the Durango? There are many safety features in the 2018 Durango that make it stand out from the crowd. Some of these special features include ParkSense front and rear park assist, ParkSense rear park assist, and the standard feature, ParkView rear backup camera. You will also find adaptive cruise control with stop on some model levels, along with SiriusXM Guardian which gives you roadside assistance, and SOS Call. Other features include blind-spot monitoring, brake assist, ready alert braking, and electronic stability control. What are the model options for the Durango? This crossover SUV comes with three-rows, and five different model options. The base model, Durango SXT, gives you technology features like dual USB ports, a 7-inch touchscreen interface, a six-speaker sound system, Bluetooth phone connectivity, and Android Auto and Apple CarPlay smartphone integration. Other features that you can find with this model level include heated mirrors, three-zone climate control, a 50/50-split folding third-row seat, power-folding headrests in the third-row, cloth upholstery, 18-inch alloy wheels, a rearview camera, a load-leveling rear suspension, a 60/40-split folding and reclining second-row seat, and keyless entry and ignition. 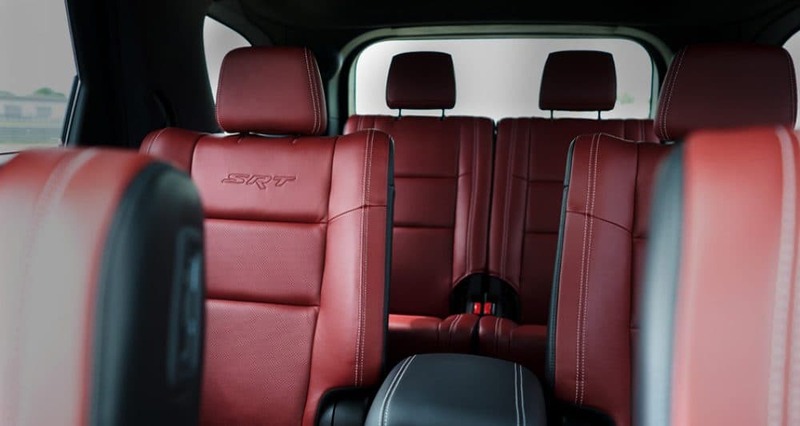 The Durango GT, a mid-range option, features suede and leather upholstery, a power liftgate, satellite radio, 20-inch wheels, power-adjustable front seats, rear parking sensors, driver-position memory settings, and heated front and second-row seats. A higher model available is the Durango Citadel, offering a navigation system, upgraded brakes, more leather trim, HD radio, upgraded leather upholstery, automatic high beams, front parking sensors, Uconnect 8.4-inch touchscreen interface, ventilated front seats, a sunroof, and a nine-speaker audio system. The 2018 Dodge Durango is the crossover SUV that gives you power, space, and the latest in technology. There is no better option for you and your family. Come on down to Speedway today, and schedule a test drive with us!